Public power utilities have a long history of working with their communities in the areas of supporting businesses and economic development. The 2nd Annual Public Power Consultants Forum, developed by Area Development in conjunction with the American Public Power Association, will offer APPA members, along with their community leaders and economic development counterparts, a full program of presentations, roundtable discussions, and panels on what shapes the site selection process and how utilities can best be prepared to work with economic developers and prospects through the process. Led by an outstanding lineup of speakers from among today's most active site consultants, corporate real estate professionals and industry executives, this forum will address the leading issues, strategies and best practices necessary for developing a successful economic development strategy. The Forum opens Monday with an early evening networking reception and dinner at the outstanding beachfront One Ocean Resort. Each day's program includes a networking breakfast, lunch and a series of valuable networking breaks, where you have the opportunity to meet and talk with speakers and colleagues. On Tuesday evening, the Forum relaxes with a networking reception and allows attendees to enjoy the resort town of Atlantic Beach with Dinner on the Town. Following Wednesday's closing lunch, you are ready to leave for home or office. 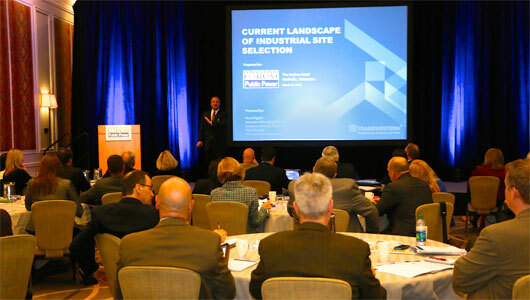 Click here to view the agenda and participants from the First Annual Public Power Consultants Forum. This event is designed for public power economic development personnel, utility CEOs and executive leadership, as well as policymakers, community officials and state/regional economic developers who work with utilities on economic development. For registration and event related questions, contact Dennis Shea, President and Publisher at Area Development: 516/338-0900, ext. 208; dshea@areadevelopment.com. For APPA membership questions, contact Heidi Lambert, APPA’s Director of Education: 202/467-2921; HLambert@PublicPower.org.